Mind Zero is going to surprise people. 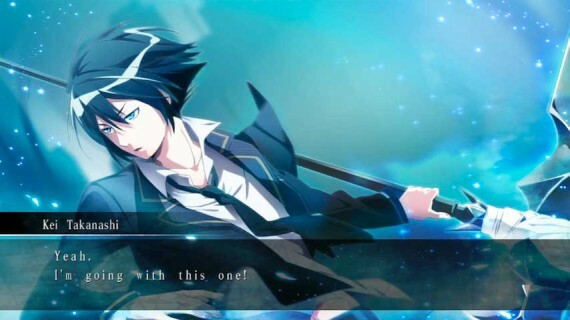 For all its lack of marketing, and surface-level appearance resembling Persona 3, somehow Acquire and ZeroDiv’s dungeon crawler manages to provide strong, on-the-go sensibilities that can be seen as an equal to some of the genre’s more recent entries, such as Demon Gaze and Etrian Odyssey. With that in mind, it’s time to find out how this under-the-radar game has managed to deliver a quality JRPG experience. 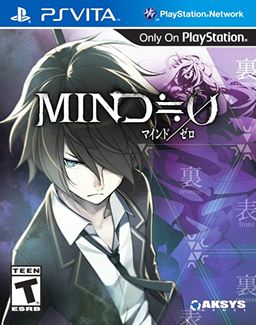 Mind Zero tells the story of a group of high school students that one day stumbles upon a parallel world called the “Inner Realm.” In this realm, exist horrors and violence that likes of which the real world, or “Outer Realm” as it’s called here, has ever seen. Upon being pulled into this realm, the characters are greeted by something of a gatekeeper whom only refers to herself as the Undertaker. When introducing herself to them, the unexplained woman presents each character with an ultimatum: choose a weapon that perfectly fits their personality from her enormous collection of armaments, and go on to live and use said arms to protect the world, or select the wrong weapon and immediately perish because of choosing incorrectly. Hesitant given the circumstances, our young heroes eventually pick their weapons and instantly find that, not only did they choose wisely and now carry with them death-dealing flails, but also have been assigned a MIND — a terrifying mirror-image of themselves as seen through the eyes of the Inner Realm. After all of this transpires, our troupe is finally carted off back to the real world, where they encounter beasts that only they can then handle with their newfound weapons and MIND companions. We won’t go any further with the story here, for fear of spoiling things, but as one might be able to deduce on their own from this quick synopsis, Mind Zero’s story is no doubt a dark, brooding one; a tale that bears a striking resemblance to a variety of other more mature-themed games of its ilk such as Persona, Shadow Hearts the oft under-recognized PSX gem, Koudelka. With an emphasis on a sinister setting, Mind Zero feels compelling in its narrative simply because of how mysterious and intriguing its world is. Much of this is due to the sheer pacing of the story, which starts off a bit slow, but over time begins to doll out information about the events surrounding the characters at a pace that keeps the carrot dangling in front of the proverbial donkey’s nose quite meticulously. The story here is also elevated thanks in part to two specific helping entities: a likable, diverse cast of heroes, and a super cohesive localization. Firstly, the roster of characters is both unique and trope-inspired simultaneously. Their personalities are each different enough to create fantastic on-screen chemistry — with plenty of serious moments bringing out discussions on morality, and more than a few humorous exchanges that actually had us laughing out loud — but also rely upon characterizations that have worked in the genre for years. But despite the tendency for some of these characters to fall into typical JRPG stereotypes at times, by and large, they do an adequate job at remaining interesting even with those clichéd quirks. The characters seem specifically likable, though, thanks to being fully voice-acted. The game supports dual-audio options, providing players the best of both worlds by offering a subbed and dubbed endeavor. The English voice cast doesn’t do an outstanding job; which led us to playing through with the Japanese voice-overs in place — but they weren’t bad by any means. 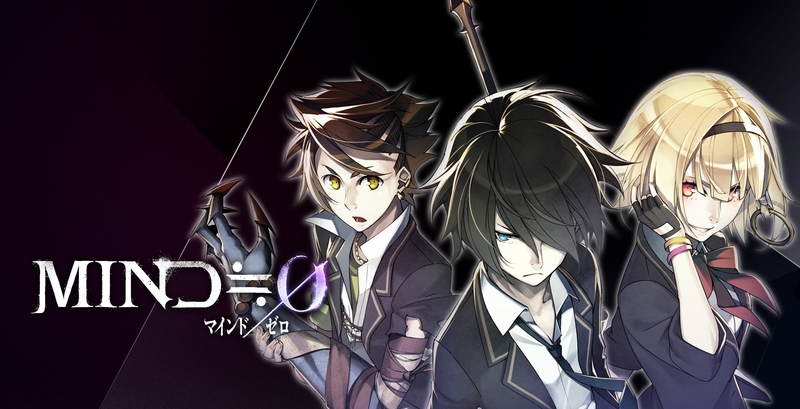 Due to the gravity of the story, however, Mind Zero’s script simply asks a lot of its actors; it’s a game that has dire implications in its plot, therefore the voice cast is routinely asked to hit emotional highs and lows. Due to the lower budget, then, it’s clear that Aksys probably weren’t able to hire the caliber of actor that was needed to really hit a homerun in this respect. Fortunately, the Japanese voices are phenomenal. So, as long as you don’t mind actually reading all the dialogue exchanges, it’s highly encouraged that folks play through the game subbed. 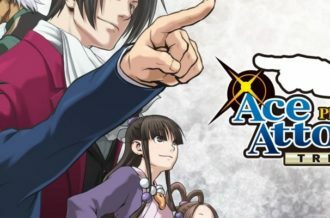 Outside of the enjoyable cast, we are also privy to a roleplaying experience that has been given serious love when it comes to its localization. The text is sharply written, rarely ever faltering with regards to clumsily translated sentences or grammatical hiccups, and knows when to capitalize on a funny moment with truly witty text, and when to reign things in and become deathly serious. It’s a nice balance that keeps the story clipping along nicely. This is especially positive considering, despite its dungeon crawling core, this is a very story-heavy game. Although some in its genre forgo storytelling conventions for more straight-forward gameplay experiences, Mind Zero dishes out long segments of talking — so long, that they at times feel out of place considering the genre standards — in order to deliver a competent narrative. In other words, Zero can almost play like a visual novel at times, seemingly putting its world-building before its game mechanics. This is most noticeable in the early goings, but does change as time rolls on, with plenty of dungeon delving to be performed. So we’ve spent a lot of time talking about story and characters, but this is an RPG, and a dungeon crawler at that, and consequently plot is only part of the equation. The other integral piece of Mind Zero is its gameplay. As one may have figured out already, as a dungeon crawler the game places much importance on traversing giant labyrinths and vanquishing baddies over and over again. To that end, one major concern with any kind of DRPG is balancing. Far too often are players asked to grind hours upon hours just to tackle a game’s most basic enemies. In Mind Zero, the developers have taken a different approach. By that we mean they seem extra cautious as to respect the player’s time as much as possible. An inherent issue with the JRPG genre is that they simply do not appreciate that players have lives outside of gaming. 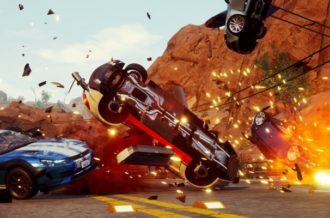 MZ, though, with its three difficulties, makes it clear that it doesn’t want to punish its players through a painful war of attrition, rather provide them an experience that won’t require dozens of hours of grinding just to make progress. That’s not to say the game is devoid of challenge, because it’s not. In fact, any time a game utilizes random encounters as the crux of its exploration and combat, one gets worried. Fortunately, Zero’s encounter rate is very reasonable. But it’s once players are inside the battles that the real fun begins. 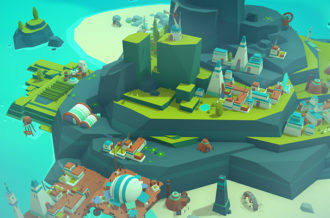 At its center, the game uses a by-the-numbers turn-based engine. Though, unlike most other ‘crawlers, it makes battling a bit flashier. 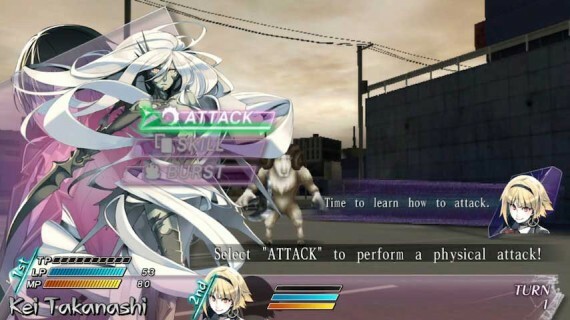 Instead of only seeing a character’s status bar and some kind of weapon animation to signify an attack, Zero goes more the Phantasy Star route and lets players actually see their characters perform their attacks in the third person. 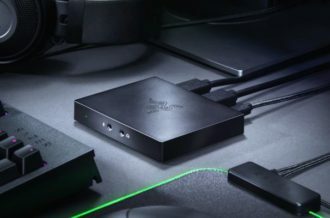 This doesn’t seem like it would make a big difference, but when a player spends as much time fighting as they do in most dungeon-focused RPGs, and subsequently here in Mind Zero, something as simple as seeing their character pull off a new skill is enough to keep folks stimulated and engaged. Also unique to the game is the implementation of the aforementioned MIND companions. In fact, they are a large part of the battling, so much so that poor use of them will result in almost certain death. Because bosses, and even some run-of-the-mill enemies, can one- or two-shot entire parties, it’s mandatory to protect oneself through the employment of MINDs to effectively absorb damage and deliver it right back. But using MINDs requires strategic planning. MINDs can only last in combat for so long; should they run out of MP (which is depleted by using certain MIND attacks, and also by being attacked while in this specific beast mode), players enter a “break” state that essentially puts them out of action for a turn, and unable to summon their MIND for a few more after that. But of course, remaining in human form during combat leaves folks very vulnerable to being wiped out swiftly. Hence, learning when to summon a companion and when to withdraw them is necessary for survival. This system keeps encounters from becoming too terribly mundane. Of course, once players find their rhythm with this mechanic, they can start steamrolling opponents, which suddenly takes a challenging game and makes it a bit easier than what’s desired. Still, even outside of combat, things are engaging. Keeping up with customization options, such as skills and gear, is all essential. These specific features seem a bit more streamlined and by proxy less robust in Mind Zero than they are in some other games. Although some will scoff at this, it nevertheless gives way to greater accessibility. Regardless, there’s enough in this department to maintain interest throughout the game’s lengthy main campaign and optional side scenarios. Ergo, the blend of being accessible but deep enough should be viewed as a commendable feat by the developers, rather than some unbearable misstep. Speaking of the areas of Mind Zero that are a mixed bag, let’s talk about the production values. For starters, the art itself is beautiful. Character designs and portraits used for talking segments are expressive and just generally clean in their aesthetic; 2D backgrounds during the dialogue portions are also vibrantly drawn and easy on the eyes. 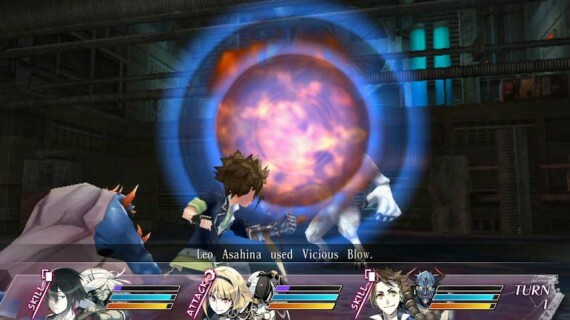 Unfortunately, the actual gameplay graphics — such as when folks are navigating dungeons or when character/enemy models are used in battle — are less reflective of the game being a Vita title, instead providing graphical fidelity that is more on par with what the PSP could muster, complete with polygonal character models and stiff animations. 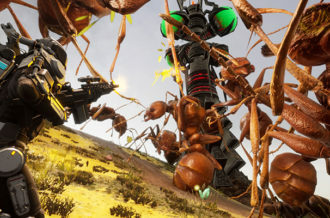 This is likely a result of the game utilizing the same graphics engine as the latest Class of Heroes title, but that doesn’t excuse it from being fairly ugly a good portion of the time. We did take note of how the menu and interface layouts are very crisp and sensible in their design, though, which counts for a lot in a game that has folks spending time flipping through character sheets and lists of options. The soundtrack on the other hand, is more consistent. Tunes range from harrowing rock anthems to lamenting dirges to some good old J-pop. On the whole, the soundtrack isn’t abundantly diverse in just the sheer number of tracks available, as many are re-used, but what is there is well-composed and generally a delight to listen to. Mind Zero is going to catch people off guard. Prior to its release, it was either not talked about whatsoever, or done so with skepticism. In the end, though, it’s a quality experience. It has a compelling story that, though slow to gather steam, feels wonderfully mysterious, strange and distinctive. To supplement that is a cast of sincerely likable characters and tried-and-true dungeon-crawl mechanics that are challenging enough for veterans to enjoy, but accessible enough for this to be a great starting place for anyone looking to cut their teeth on the genre. The game has some flaws and those not expecting such a visual novel-like, story-heavy experience may be turned off, but overall, Mind Zero gets more right than it gets wrong. For a game without any kind of established lineage, this is a very welcome addition to the Vita’s growing JRPG library.